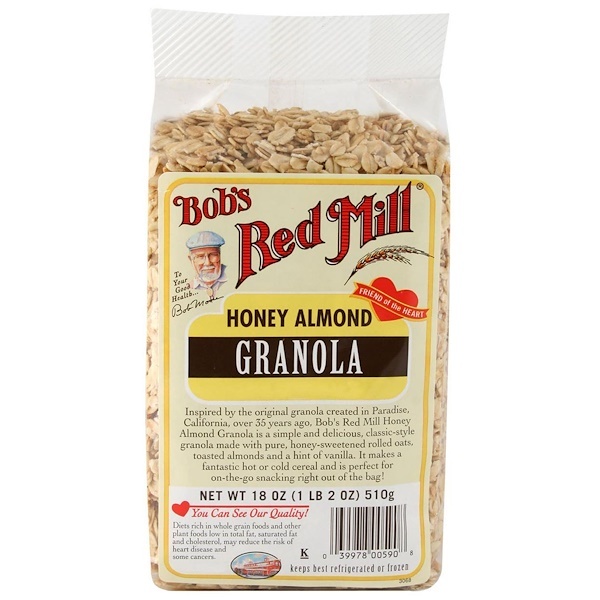 Inspired by the original granola created in Paradise, California, over 35 years ago, Bob's Red Mill Honey Almond Granola is a simple and delicious, classic-style granola made with pure, honey-sweetened rolled oats, toasted almonds and a hint of vanilla. It makes a fantastic hot or cold cereal and is perfect for on-the-go snacking right out of the bag! In a small mixing bowl combine the yogurt, cream cheese, honey, and cinnamon. Beat with an electric mixer on medium speed till combined: chill. In a small bowl stir together fruit. Divide one-third of the fruit mixture among 4 parfait glasses or wine goblets. Spoon about half each of cream cheese mixture and granola atop fruit; repeat layers. Top with remaining third of fruit. Serve immediately. 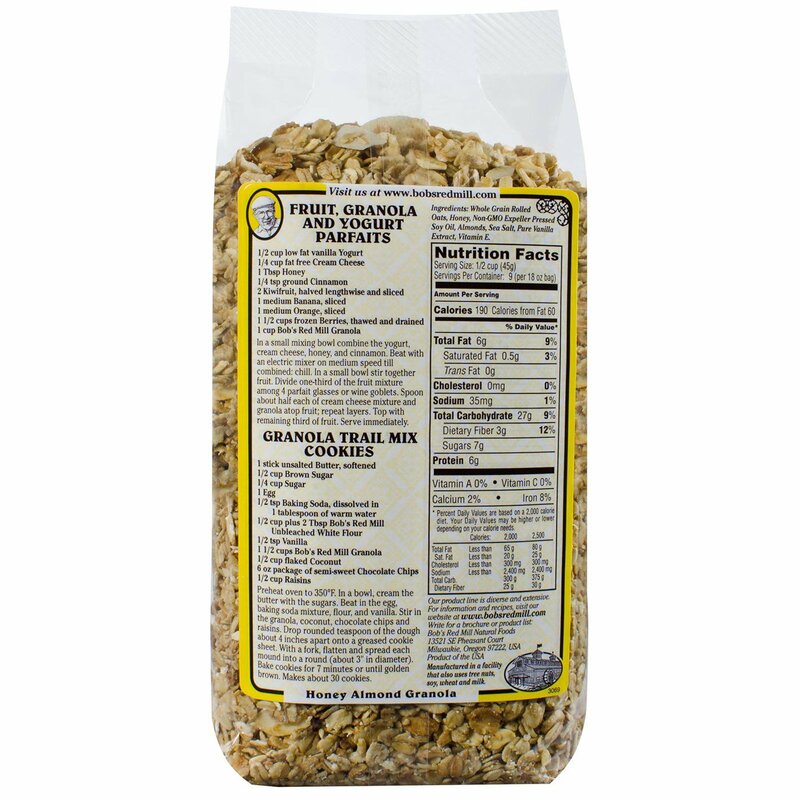 Whole grain rolled oats, honey, non-GMO expeller pressed soy oil, almonds, sea salt, pure vanilla extract, vitamin E.